Hand-picked black tea delicately blended with real oil of bergamot from Calabria, Italy. We love it so much that we purchase the entire crop...Why do we love our Earl Grey so much? Simply put, it's because of the deliciously rich oil of bergamot our family has used since we crafted our Earl Grey recipe over 40 years ago. Today, we continue to buy this special ingredient from the same family garden in Calabria, Italy, where we have gotten in year after year. We love their oil of bergamot so much that we purchase the entire crop! We feel we found the perfect harmony between the distinctive citrus-flavor and our carefully hand-picked black tea. So when you open up the unique foil pouch and unlock the amazing aroma and flavor, you'll discover why we love our Earl Grey...and why we think you will too! of Bigelow tea everywhere you go! 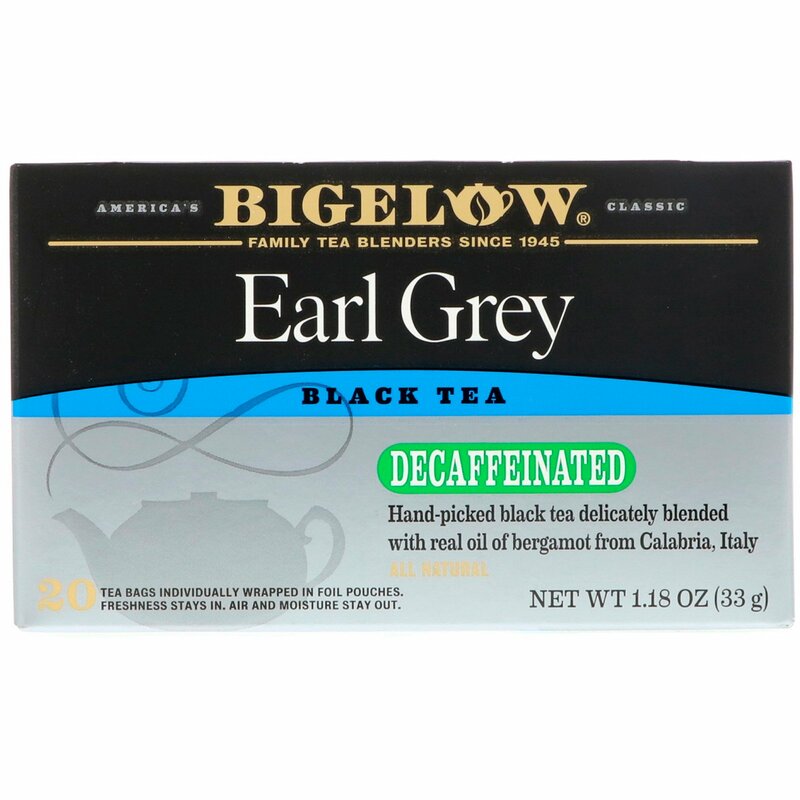 Decaffeinated black tea, natural oil of bergamot.